We can supply blank, colour washed or preprinted labels for use in thermal and thermal transfer systems on a wide variety of substrates. 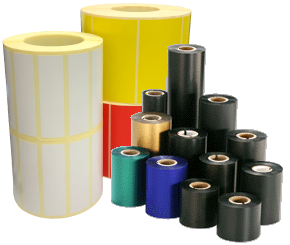 We can also supply ribbons for use with thermal transfer machines. Our expertise in this area goes back to the inception of thermal transfer technology in the U.K.
We can supply the correct ribbon and media combination for any machine. We buy the ribbons direct to ensure a keen price for our customers.